^ Prometheus. bbfc.co.uk. British Board of Film Classification. 2012-05-10 [2013-12-24]. （原始内容存档于2012-06-16）. ^ Mackinley, Page. Prometheus Set To Reach Beyond The Fans To The Uninitiated. Inquisitr. 2012-04-29 [2013-12-24]. （原始内容存档于2013-07-19）. ^ 《普罗米修斯》2日上映 各地零点首映爆棚. 新浪. 2012-09-02 [2018-06-25] （中文（中国大陆）‎）. ^ Galloway, Stephen. Return of the 'Alien' Mind. The Hollywood Reporter (Prometheus Global Media). 2012-05-16 [2013-12-24]. （原始内容存档于2012-10-16）. ^ 5.0 5.1 5.2 5.3 5.4 Prometheus. Box Office Mojo. Amazon.com. 2012-06-02 [2013-12-26]. （原始内容存档于2013-12-23）. ^ 6.0 6.1 Radish, Christina. Noomi Rapace Talks 'Sherlock Holmes: A Game of Shadows', 'Prometheus', and 'Dead Man Down'. Collider.com. 2011-12-14 [2013-12-25]. （原始内容存档于2012-06-16）. ^ Topel, Fred. Noomi Rapace on 'Sherlock,' 'Prometheus' and 'Dragon Tattoo'. CraveOnline. 2011-12-14 [2013-12-25]. （原始内容存档于2013-06-02）. ^ 8.00 8.01 8.02 8.03 8.04 8.05 8.06 8.07 8.08 8.09 8.10 8.11 8.12 8.13 8.14 8.15 8.16 Hewitt, Chris. Why Are We Here?. Empire (Bauer Media Group). 2012年5月. ^ Noomi Rapace – Noomi Rapace Shocked Make-Up Artist With Blood And Sweat Request. Contactmusic.com. 2012-05-11 [2013-05-28]. （原始内容存档于2013-05-28）. ^ Rapace: Prometheus was so intense. Irish Independent. 2011-12-15 [2013-12-25]. （原始内容存档于2012-06-16）. ^ Wigler, Josh. 'Prometheus' Star Noomi Rapace Reveals 'Alien' Connection, Compares Her Character With Ripley. MTV. Viacom. 2011-03-07 [2013-12-25]. （原始内容存档于2013-05-10）. ^ Noomie Rapace (The Girl With The Dragon Tatoo) For Alien Prequel?. Script Flags. 2010-08-20 [2013-12-25]. （原始内容存档于2012-06-16）. ^ 13.0 13.1 Finke, Nikki. Ridley Scott Directing 'Prometheus' For Fox; Noomi Rapace Locked While Angelina Jolie And Charlize Theron Circling; Damon Lindelof Scripted With Scott From 'Alien' DNA. Deadline.com. 2011-01-14. （原始内容存档于2013-11-03）. ^ Fox Flips for Damon Lindelof's Alien Prequel Script, Wants Natalie Portman to Star. New York. 2010-10-12 [2013-12-25]. （原始内容存档于2013-12-20）. ^ Update: Gemma Arterton Meeting for Ridley Scott's Alien Prequels?. Coming Soon. 2010-09-06 [2013-12-25]. （原始内容存档于2013-07-23）. ^ Fleming, Mike. Next Hot Female Role: Noomi Rapace In Hunt For Ridley Scott's 3D 'Alien' Prequel. Deadline New York. 2010-10-07 [2013-12-25]. （原始内容存档于2012-10-11）. ^ Williamson, Hannah. School Girl Stars in Sci-Fi Blockbuster. Your Local Guardian (Newsquest Digital). 2012-05-09 [2013-12-25]. （原始内容存档于2012-06-16）. ^ 18.0 18.1 18.2 18.3 Paradise Found: Ridley Scott’s Alien Prequel Gets a Title, Takes Aim at Yeoh and Fassbender. New York. 2010-12-08 [2013-12-25]. （原始内容存档于2012-10-23）. ^ 19.0 19.1 19.2 Radish, Christina. Director Ridley Scott, Writer Damon Lindelof and Michael Fassbender Talk Prometheus at WonderCon 2012. Collider.com. 2012-03-18 [2013-12-25]. （原始内容存档于2013-11-11）. ^ Ditzian, Eric. 'Prometheus' Scribe Damon Lindelof Talks Robots, Slimy Corporations & Ridley Scott Collab. MTV. 2011-09-28 [2013-12-25]. （原始内容存档于2013-06-10）. ^ 21.0 21.1 21.2 21.3 21.4 21.5 21.6 21.7 "Prometheus" Crew: On A Mission Collision. Inquirer.net (Philippine Daily Inquirer). 2012-04-29 [2013-12-24]. （原始内容存档于2013-09-28）. ^ 22.0 22.1 Sciretta, Peter. Interview: Michael Fassbender Talks ‘Prometheus’. /Film. 2012-06-08 [2013-12-25]. （原始内容存档于2013-06-18）. ^ 23.0 23.1 Trumbore, Dave. WonderCon 2012: Prometheus Panel Recap Featuring Sir Ridley Scott and Damon Lindelof. Collider.com. 2012-03-17 [2013-12-25]. （原始内容存档于2013-11-27）. ^ Sullivan, Kevin. Michael Fassbender's 'Prometheus' Character Inspired By... Greg Louganis?. MTV Movies Blog. 2011-11-17 [2013-12-25]. （原始内容存档于2013-11-27）. ^ 25.0 25.1 Robey, Tim. Prometheus – preview. The Daily Telegraph (Telegraph Media Group). 2012-04-10 [2013-12-25]. （原始内容存档于2013-10-24）. ^ Kit, Borys; McClintock, Pamela. 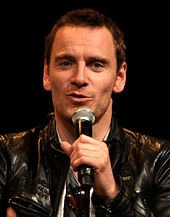 Michael Fassbender to Star Opposite Noomi Rapace in Ridley Scott's 'Prometheus'. The Hollywood Reporter. 2011-01-26. （原始内容存档于2013-09-20）. ^ Gutierrez, Ezequiel. 20th Century Fox Comic Con Panel and Footage Description. Hey U Guys. 2011-07-22 [2013-12-25]. （原始内容存档于2013-06-22）. ^ Charlize Theron Explains Her Prometheus Character. 2011-12-23 [2013-12-25]. （原始内容存档于2013-09-19）. ^ 29.0 29.1 29.2 29.3 29.4 29.5 29.6 29.7 Leyland, Matthew. Origin of the Species. Total Film (Future plc). 2012年6月, (193). ^ Sciretta, Peter. Interview: ‘Prometheus’ Star Charlize Theron Talks About Working With Practical Sets vs. CG, Responds to Internet Theories About Her Character and More. /Film. 2012-06-11 [2013-12-25]. （原始内容存档于2013-08-22）. ^ 31.0 31.1 31.2 31.3 31.4 31.5 Galloway, Stephen. Return of the 'Alien' Mind (Page 2). The Hollywood Reporter (Prometheus Global Media). 2012-05-16 [2013-12-25]. （原始内容存档于2012-06-14）. ^ 32.0 32.1 Nashawaty, Chris. Birth of a New Alien. Entertainment Weekly (Time Inc.). 2012-05-18, (1207). ^ Idris Elba Reveals Bits & Pieces Of "Prometheus". Indie Wire. 2011-06-09 [2013-12-25]. （原始内容存档于2012-06-14）. ^ 34.0 34.1 34.2 Lillie, Ben. Writing a TEDTalk from the future: Q&A with Damon Lindelof. TED. Sapling Foundation. 2012-02-28 [2013-12-25]. （原始内容存档于2013-10-22）. ^ Gammie, Joseph. Alien: The monster returns?. The Independent (Independent Print Limited). 2012-05-06 [2013-12-25]. （原始内容存档于2013-10-04）. ^ Weintraub, Steve. Guy Pearce Talks Making Prometheus, Viral Marketing, Working for Ridley Scott, and Briefly Mentions Iron Man 3. Collider.com. 2012-05-31 [2013-12-25]. （原始内容存档于2012-09-05）. ^ 37.0 37.1 37.2 37.3 Anders, Charlie Jane. 10 Things You Didn’t Know About the Making of Prometheus. io9. 2012-06-12 [2013-12-25]. （原始内容存档于2013-10-07）. ^ Fleming, Mike. Logan Marshall-Green Lands 'Prometheus'. Deadline.com (PMC). 2011-03-14 [2013-12-25]. （原始内容存档于2012-10-11）. ^ Gray, Richard. Exclusive: Q & A with Prometheus star Logan Marshall-Green. The Reel Bits. 2011-05-02 [2013-12-25]. （原始内容存档于2013-10-25）. ^ Sean Harris. Troika. [2013-12-25]. （原始内容存档于2012-06-16）. ^ Rafe Spall. Troika. [2012-06-16]. （原始内容存档于2012-06-16）. ^ Rafe Spall Talks About Secretive ‘Prometheus’ Film in Interview. geekrest.com. 2011-10-26 [2013-12-25]. （原始内容存档于2013-05-10）. ^ Emun Elliott. United Agents. [2013-12-25]. （原始内容存档于2013-08-21）. ^ English, Paul. Rising Scots actor Emun Elliott reveals his excitement at starring in new Irvine Welsh film Filth. Daily Record (Trinity Mirror). 2012-04-14 [2013-12-25]. （原始内容存档于2012-06-14）. ^ Deggans, Eric. Patrick Wilson lands on TV with new series "A Gifted Man" this fall. Tampa Bay. 2011-08-05 [2013-12-25]. （原始内容存档于2013-06-07）. ^ Fischer, Russ. Collection of ‘Prometheus’ Set Photos Includes One Character Cut From Final Edit. /Film. 2012-06-15 [2013-12-25]. （原始内容存档于2013-06-18）. ^ Overbye, Dennis. He’s Not Done With Exploring the Universe. The New York Times (The New York Times Company). 2012-05-02 [2013-12-24]. （原始内容存档于2012-12-09）. ^ 48.0 48.1 Nashawaty, Chris. Damon Lindelof on whether 'Prometheus' is an 'Alien' prequel, plus life after 'Lost' (Page 4). Entertainment Weekly (Time Inc.). 2012-05-11 [2013-12-24]. （原始内容存档于2013-05-22）. ^ 49.0 49.1 49.2 49.3 49.4 49.5 O'Connell, Sean. Dialogue: Sir Ridley Scott Explains 'Prometheus,' Explores Our Past, and Teases Future 'Alien' Stories. Movies.com (Fandango). 2012-06-05 [2013-12-24]. （原始内容存档于2013-11-14）. ^ 50.0 50.1 50.2 50.3 Gilchrist, Todd. 'Prometheus' Writer Damon Lindelof on Why 'Vague' Is Good and the 'Sadistically Cool' Fallout From the 'Lost' Finale. Hollywood Reporter (Prometheus Global Media). 2012-06-17 [2013-12-24]. （原始内容存档于2013-11-05）. ^ 51.0 51.1 51.2 51.3 Lyus, Jon. Prometheus Writer Damon Lindelof talks Engineers, Alien Family Tree & the Sequel’s Opening Scene. Hey U Guys. 2012-06-07 [2013-12-24]. （原始内容存档于2013-12-10）. ^ 52.0 52.1 Jagernauth, Kevin. Did Ridley Scott Just Ruin The Mystery Of 'Prometheus' & Kill Its Sequel? (Page 1). Indie Wire. 2012-06-14 [2013-12-24]. （原始内容存档于2013-05-24）. ^ 53.0 53.1 53.2 53.3 53.4 McCabe, Joseph; Farley, Jordan; Edwards, Richard. Gods and Monsters / A Shaw Thing / He, Robot. SFX (Future plc). 2012年5月, (222). ^ Yamato, Jen. Damon Lindelof on Prometheus's Ending and a Handy, Spoilery Alien Infographic. 2012-06-12 [2013-12-25]. （原始内容存档于2013-05-18）. ^ Wise, Damon. Prometheus: the making of a new myth. The Guardian (Guardian Media Group). 2012-05-26 [2013-12-25]. （原始内容存档于2012-12-09）. ^ Jagernauth, Kevin. Did Ridley Scott Just Ruin The Mystery Of 'Prometheus' & Kill Its Sequel? (Page 2). Indie Wire. 2012-06-14 [2013-12-25]. （原始内容存档于2013-11-02）. ^ Woerner, Meredith. Is Prometheus anti-science? Screenwriter Damon Lindelof responds. io9 (Gawker Media). 2011-06-07 [2013-12-25]. （原始内容存档于2013-10-07）. ^ Murty, Govindini. Decoding the Cultural Influences in 'Prometheus,' From Lovecraft to 'Halo'. The Atlantic (The Atlantic). 2012-06-11 [2013-12-25]. （原始内容存档于2013-05-21）. ^ Alien vs. Predator: Battle of the Sequels. IGN (News Corporation). 2002-01-23 [2013-12-25]. （原始内容存档于2012-06-16）. ^ Ridley Scott (Director). Alien (DVD (audio commentary track)). 20th Century Fox Home Entertainment, Inc. 2003. It's a tough one, particularly with the success of four. I think if you close the lid it should be the end of the first chapter, and I think very simply what no one's done is simply gone back to re-visit 'what was it?' No one's ever said 'who's the space jockey?' He wasn't an Alien. What was that battleship? Is it a battleship? Is it an aircraft carrier? Is it a bio-mechanoid weapon carrier?...Why did it land? Did it crash-land, or did it settle there because it had engine trouble?...And how long ago? 'Cause those eggs would sit there. ^ Dan O'Bannon (Writer), Ridley Scott (Director), Sigourney Weaver (Actor). Alien (DVD (audio commentary track)). 20th Century Fox Home Entertainment, Inc. 2003. ^ 62.0 62.1 AVP Killed Alien 5. IGN (News Corporation). 2006-02-08 [2013-12-25]. （原始内容存档于2012-06-16）. ^ Vespe, Eric "Quint". Holy Crap! Quint Interviews James Cameron!!!. Ain't It Cool News. 2006-02-07 [2013-12-25]. （原始内容存档于2013-10-23）. ^ 64.0 64.1 The Blueprint for Ridley Scott's 'Prometheus'. ScripFlags.com. 2011-02-26 [2013-12-25]. （原始内容存档于2012-04-26）. ^ 65.0 65.1 65.2 Carroll, Larry. Exclusive: Ridley Scott Reveals 'Alien' Prequel Details. MTV. Viacom. 2010-04-22 [2013-12-25]. （原始内容存档于2013-12-16）. ^ 66.0 66.1 66.2 66.3 Interview: Ridley Scott Talks Prometheus, Giger, Beginning of Man and Original Alien. Filmophilia. 2011-12-17 [2013-12-25]. （原始内容存档于2013-12-19）. ^ Spines, Christine. The Hollywood Insider. Entertainment Weekly. 2009-06-05 [2013-12-25]. （原始内容存档于2013-05-22）. ^ Fleming, Michael. 'Alien' prequel takes off. Variety. 2009-07-30 [2013-12-25]. （原始内容存档于2013-12-11）. ^ 69.0 69.1 69.2 Olson, Parmy. How An Unsung Screenwriter Got To Work With Ridley Scott On Prometheus, And Ended Up 'Riding A Bronco'. Forbes (Forbes publishing). 2012-05-03 [2013-12-25]. （原始内容存档于2013-07-23）. ^ 70.0 70.1 Ridley Scott wants to make two ‘Alien’ prequels. Los Angeles Times (Tribune Company). 2010-06-15 [2013-12-25]. （原始内容存档于2013-12-04）. ^ 71.0 71.1 Mottram, James. Ridley Scott: 'I'm doing pretty good, if you think about it'. The Independent (London). 2010-09-03. （原始内容存档于2012-11-11）. ^ 72.0 72.1 72.2 Nashawaty, Chris. Damon Lindelof on whether 'Prometheus' is an 'Alien' prequel, plus life after 'Lost' (Page 3). Entertainment Weekly (Time Inc.). 2012-05-11 [2013-12-25]. （原始内容存档于2013-05-22）. ^ 73.0 73.1 Goldberg, Matt. Ridley Scott Refused to Do an Extended Cut for Prometheus Blu-ray; Jon Spaihts Reveals Details about His Original Script. Collider.com. 2012-10-08 [2013-12-25]. （原始内容存档于2013-09-21）. ^ Alien Prequel Stalls AS Scott Fights Fox. Sky Movies. BSkyB. 2012-04-27 [2013-12-25]. （原始内容存档于2012-06-17）. ^ 75.0 75.1 Finke, Nikki; Fleming, Mike. Ridley Scott Directing 'Prometheus' For Fox; Noomi Rapace Locked While Angelina Jolie And Charlize Theron Circling; Damon Lindelof Scripted With Scott From 'Alien' DNA. Deadline. PMC. 2011-01-19 [2013-12-26]. （原始内容存档于2012-06-14）. ^ 76.0 76.1 McClintock, Pamela. Ridley Scott's 'Prometheus' Gets High-Profile Summer Release Date. The Hollywood Reporter (PMC). 2011-01-26. （原始内容存档于2012-11-02）. ^ Warner, Kara. 'Alien' Prequel Turns Into Ridley Scott's 'Prometheus'. MTV. 2011-01-14 [2013-12-26]. （原始内容存档于2013-06-10）. ^ 78.0 78.1 78.2 Roxborough, Scott. Ridley Scott, Michael Fassbender, Noomi Rapace Tease 'Prometheus' at CineEurope. Hollywood Reporter (Prometheus Global Media). 2011-06-28 [2013-12-26]. （原始内容存档于2013-11-11）. ^ 79.0 79.1 79.2 Damon Lindelof Explains How Ridley Scott’s ‘Prometheus’ is Connected to the ‘Alien’ Films. /Film. 2011-06-28 [2013-12-25]. （原始内容存档于2013-06-18）. ^ 80.0 80.1 Child, Ben. Ridley Scott beams into Comic-Con to unveil Prometheus. London: The Guardian. 2011-07-22 [2013-12-26]. （原始内容存档于2012-06-16）. ^ 81.0 81.1 81.2 Olson, Parmy. How An Unsung Screenwriter Got To Work With Ridley Scott On Prometheus, And Ended Up 'Riding A Bronco' (Page 2). Forbes (Forbes publishing). 2012-05-03 [2013-12-26]. （原始内容存档于2013-12-10）. ^ 82.0 82.1 82.2 82.3 82.4 Free, Erin; Mottram, James; Pringle, Gill. Inner Space. Filmink. 2012年4月, (906). ^ Nashawaty, Chris. Damon Lindelof on whether 'Prometheus' is an 'Alien' prequel, plus life after 'Lost' (Page 1). Entertainment Weekly (Time Inc.). 2012-05-11 [2013-12-26]. （原始内容存档于2013-05-22）. ^ 84.0 84.1 Nashawaty, Chris. Damon Lindelof on whether 'Prometheus' is an 'Alien' prequel, plus life after 'Lost' (Page 2). Entertainment Weekly (Time Inc.). 2012-05-11 [2013-12-27]. （原始内容存档于2013-12-25）. ^ Lussier, Germain. Damon Lindelof Discusses The Secrecy Of ‘Prometheus’. SlasherFilm.com. 2011-07-22 [2013-12-28]. （原始内容存档于2013-06-18）. ^ 86.0 86.1 Larkin, Mike. Get ready to scream again: Ridley Scott returns to sci-fi with space horror Prometheus. London: Daily Mail. 2011-07-23 [2013-12-26]. （原始内容存档于2012-06-16）. ^ 87.0 87.1 Bamigboye, Baz. It's the Oscar after-after party war: Madonna and James Franco vie for best bash. The Daily Mail (London: Associated Newspapers Ltd). 2011-02-25 [2013-12-26]. （原始内容存档于2013-06-09）. 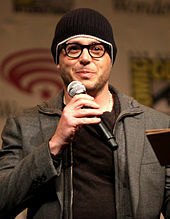 ^ Comic-Con 2011: Damon Lindelof & Charlize Theron Talk ‘Prometheus’ in 3D. Screen Rant. 2011-07-21 [2013-12-26]. （原始内容存档于2013-11-07）. ^ 89.0 89.1 Kit, Borys. WonderCon 2012: Ridley Scott Talks 'Prometheus' As Extended Trailer Debuts (Video). The Hollywood Reporter (Prometheus Global Media). 2011-03-17 [2013-12-26]. （原始内容存档于2012-06-14）. ^ Comic Con 2011 Report: Prometheus. Badass Digest. 2011-07-21 [2013-01-14]. （原始内容存档于2013-01-14）. ^ 91.0 91.1 Burns, Chris. 3ality Technica speaks on Prometheus: ‘the best experience possible with 3D’. SlashGear. 2012-04-18 [2013-12-26]. （原始内容存档于2013-11-12）. ^ Goldberg, Matt. Ridley Scott Confirms Alien Prequel Will Be Shot in 3D and He Wants to Make 2 Prequels!. Collider. 2010-04-23 [2013-12-26]. （原始内容存档于2012-06-17）. ^ Holy crap! Quint chats Alien, the upcoming Alien Prequels and 3D with Sir Ridley Scott!. Ain't It Cool News. 2010-06-15 [2013-12-26]. （原始内容存档于2013-10-26）. ^ Ho, Lawrence K. 'Prometheus': Michael Fassbender on Ridley Scott's 'breathtaking' project. Los Angeles Times. 2011-04-08. （原始内容存档于2013-11-06）. ^ B, Benjamin. Ancient Aliens. American Cinematographer (American Society of Cinematographers). 2012-07 [2013-12-26]. （原始内容存档于2013-05-27）. ^ 96.0 96.1 Prometheus (2012). Pinewood Group. 2011 [2013-12-26]. （原始内容存档于2013-07-02）. ^ 97.0 97.1 97.2 97.3 97.4 97.5 97.6 97.7 Cauthen, Shawn. Prometheus: Building the Greatest Alien Playground with Real Sets, Props and Stunts. Screenslam.com. 2012-04-24 [2013-12-26]. （原始内容存档于2012-06-16）. ^ Nashawaty, Chris. Ridley Scott Returns to Space. Entertainment Weekly (Time Inc.). 2011-12-02, (1183): 43. ^ 99.0 99.1 99.2 Ridley Scott shooting movie by Hekla in Iceland. IceNews. 2011-07-11 [2013-12-26]. （原始内容存档于2013-06-15）. ^ Goldberg, Matt. 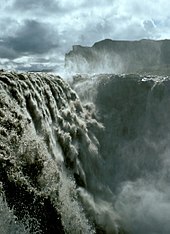 Prometheus Shooting Moves to Iceland for "the Beginning of Time". Collider.com. 2011-07-11 [2013-12-26]. （原始内容存档于2012-06-16）. ^ Prometheus Moves to Iceland for Beginning of Time. Coming Soon. 2011-07-11 [2013-12-26]. （原始内容存档于2012-10-12）. ^ Wilkins, Alasdair. Ridley Scott reveals why he’s taking Prometheus to Iceland. Plus new set photos for The Dark Knight Rises and Man of Steel!. io9 (Gawker Media). 2011-07-12 [2013-12-26]. （原始内容存档于2013-07-18）. ^ 103.0 103.1 Illescas, Sergio. Ridley Scott rodará en Alicante ´Prometheus´, el origen de ´Alien´. informacion. [2013-12-26]. （原始内容存档于2012-10-22）. ^ Ruiz Coll, M. A. Ridley Scott rueda en Alicante "Prometheus". ABC. 2011-08-31 [2013-12-26]. （原始内容存档于2013-05-08）. ^ El equipo de Ridley Scott trabaja ya en el foso de Ciudad de la Luz. ABC. 2011-08-25 [2013-12-26]. （原始内容存档于2012-10-17）. ^ Ridley Scott’s Sci-Fi Film "Prometheus" Shot on RED Epic Cameras. camerarentalz.com. [2013-12-27]. （原始内容存档于2013-10-31）. ^ The Isle of Skye, Hollywood and Toilets. Potty Mouth. 2012-01-20 [2013-12-27]. （原始内容存档于2013-07-21）. ^ McLean, Thomas J. Dariusz Wolski: Bringing 3D to the table. Variety. 2012-06-08 [2013-12-27]. （原始内容存档于2012-06-16）. ^ 109.0 109.1 Watch Prometheus in 3D or miss out says Aerial Stereographer. 3D Focus. 2012-05-30 [2013-12-27]. （原始内容存档于2013-09-18）. ^ Comic-Con ‘11: Ridley Scott Is Shooting For Both An R-Rated & PG-13 Cut Of ‘Prometheus’. Indie Wire. 2011-07-22 [2013-12-27]. （原始内容存档于2012-06-17）. ^ Chitwood, Adam. 20th Century Fox CEO Tom Rothman Says Prometheus Rating Will Be What’s Best for the Film; Assures Fans "It Will Not Be Compromised". Collider.com. 2012-04-26 [2013-12-27]. （原始内容存档于2012-06-17）. ^ 112.0 112.1 Langshaw, Mark. 'Prometheus' gets 15 certificate in UK, passed uncut. Digital Spy (Hearst Corporation). 2012-05-09 [2013-12-26]. （原始内容存档于2013-11-01）. ^ Zeitchik, Steven. 'R rating for 'Prometheus': Will it hurt the film commercially?. Los Angeles Times (Tribune Company). 2012-05-07 [2013-12-27]. （原始内容存档于2012-12-08）. ^ 114.0 114.1 ‘Prometheus’: Noomi Rapace says she gutted out a ‘psychological meltdown’. Los Angeles Times (Tribune Company). 2012-06-09 [2013-12-27]. （原始内容存档于2013-12-06）. ^ Weintraub, Steve. Ridley Scott Talks Prometheus and the Blade Runner Sequel; Says Prometheus Blu-ray Will Have 20 to 30 Min of Deleted Scenes. Collider.com. 2012-06-10 [2013-12-27]. （原始内容存档于2013-07-23）. ^ 116.0 116.1 Szalai, George. Charlize Theron, Michael Fassbender Attend London Premiere of Ridley Scott’s 'Prometheus'. The Hollywood Reporter (Prometheus Global Media). 2012-05-31 [2013-12-26]. （原始内容存档于2012-06-19）. ^ Is This The First Prometheus Poster??. Ain't It Cool. [2013-12-26]. （原始内容存档于2013-10-25）. ^ 118.0 118.1 Samuel, Patrick. Marc Streitenfeld. Static Mass Emporium. 2012-05-31 [2013-12-27]. （原始内容存档于2013-12-06）. ^ Oliver, Glen. Ample Sample Clips From Prometheus' Score Are Now Online!!. Ain't It Cool News. 2012-05-15 [2013-12-27]. （原始内容存档于2013-05-21）. ^ Prometheus [Soundtrack]. Amazon.com. 2012-05-10 [2013-12-27]. ^ Prometheus (Original Motion Picture Soundtrack). iTunes. 2012-05-15 [2013-12-27]. （原始内容存档于2013-07-23）. ^ Wood, Michael. At the Movies. London Review of Books. 2012-07-05, 34 (13): 39 [2013-12-27]. （原始内容存档于2013-10-10）. ^ Murphy, James. Prometheus Proves Classical Music Still Matters. Huffington Post. 2012-06-19 [2013-12-27]. （原始内容存档于2013-05-23）. ^ Lesnick, Silas. Arthur Max on Creating Robin Hood's England. CraveOnline. 2010-09-21 [2013-12-26]. （原始内容存档于2013-05-30）. ^ 125.0 125.1 125.2 Mortimer, Ben. Prometheus Premiere Interviews: Designer Arthur Max and Composer Marc Streitenfeld talk Alien DNA. Heyuguys.co.uk. 2012-06-01 [2013-12-27]. （原始内容存档于2013-06-22）. ^ Dayal, Geeta. Parrots and Pop Rocks used to create Prometheus' sounds. Wired. 2012-06-13 [2013-12-27]. （原始内容存档于2012-06-30）. ^ Nye Griffiths, Daniel. Prometheus: the tech behind the scenes. Wired. 2012-05-31 [2013-12-28]. （原始内容存档于2012-07-03）. ^ 128.0 128.1 128.2 Behind The Scenes On Prometheus VFX. IDG. 2012-06-13 [2013-12-28]. （原始内容存档于2012-10-06）. ^ Mohamed, Nurie. Designing the Perfect Engineer for Prometheus. Wired. 2012-08-03 [2013-12-28]. （原始内容存档于2013-06-28）. ^ Robertson, Barbara. VFX Supervisor Richard Stammers on Prometheus. StudioDaily. 2012-06-08 [2013-12-28]. （原始内容存档于2013-06-19）. ^ 131.0 131.1 131.2 Hart, Hugh. Origin of the Creepy Species, Prometheus-Style. Wired. 2012-06-15 [2013-12-28]. （原始内容存档于2013-12-03）. ^ Lussier, Germain. Three CGI Images From An Alternate Version of ‘Prometheus’ Action Scene. slashfilm.com. 2012-08-27 [2013-12-28]. （原始内容存档于2013-06-18）. ^ Hall, Peter. 'Prometheus' Unused Effects Shots Offer CGI vs. Make-Up Comparison. movies.com. 2012-08-27 [2013-12-28]. （原始内容存档于2013-12-28）. ^ Rich, Katey. Fuel VFX deploys Aspera for global media file transfer. Broadcast Engineering (Penton Media). 2012-04-26 [2013-12-27]. （原始内容存档于2012-05-12）. ^ Prometheus. Cinefex. 2012-05-16 [2013-12-27]. （原始内容存档于2012-06-01）. ^ Sullivan, Kevin P. 'Prometheus' FX Supervisor Gives Inside Look At First Scene. MTV. 2012-06-19 [2013-12-28]. （原始内容存档于2013-06-10）. ^ Lond, Harley. 'Prometheus' Unbound at Comic-Con: First Image Revealed, Scott Talks 'Alien'. Moviefone. 2011-07-21 [2013-12-27]. （原始内容存档于2012-06-16）. ^ Franich, Darren. Comic-Con best and worst: Charlize Theron's naked push-ups, Nicolas Cage peeing fire, and more!. 2011-07-25 [2013-12-27]. （原始内容存档于2013-12-26）. ^ Miller, Julie. Naked Push-Ups, Time Warps and 7 Other Revelations About Ridley Scott’s Prometheus. 2011-07-22 [2013-12-27]. （原始内容存档于2013-06-15）. ^ Turek, Ryan. Hi-Res Poster for Ridley Scott's Prometheus!. ShockTillYouDrop.com. 2011-12-14 [2013-12-27]. （原始内容存档于2013-05-28）. ^ Sullivan, Kevin. 'Prometheus' Trailer Leak 'Heartbreakingly Unfair'. MTV News online. 2011-11-30 [2013-12-27]. （原始内容存档于2013-12-25）. ^ 'Prometheus' Trailer: Five Key Elements. MTV. 2011-12-22 [2013-12-27]. （原始内容存档于2013-06-10）. ^ Roush, George. Exclusive: AMC Theatres, 20th Century Fox & Livestream Present LIVE Q&A With Director Ridley Scott and Premiere Of New Prometheus Trailer!. AMC Theatres. 2012-03-07 [2013-12-27]. （原始内容存档于2012-09-01）. ^ Dickey, Josh L. 'Prometheus' stokes hottest fire at Wonder-Con. Variety (PMC). 2012-03-17 [2013-12-27]. （原始内容存档于2012-06-16）. ^ Dergarabedian, Paul. 'Prometheus' Trailer Premiere is a Hit!. Hollywood.com, LLC. 2012-03-19 [2013-12-27]. （原始内容存档于2013-04-06）. ^ 146.0 146.1 Wales, George. Prometheus footage reveal report: details and reaction. Total Film (Future plc). 2012-04-10 [2013-12-27]. （原始内容存档于2013-07-03）. ^ Connell, Brendon. I’ve Just Seen A Bunch Of Scenes From Prometheus And Want To Tell You About Them. Bleeding Cool. 2012-04-10 [2013-12-27]. （原始内容存档于2013-12-13）. ^ Reynolds, Simon. 'Prometheus' trailer: Watch the Channel 4 'Homeland' teaser ad – video. Digital Spy (Hearst Corporation). 2012-04-29 [2013-12-27]. （原始内容存档于2013-11-01）. ^ Langshaw, Mark. 'Prometheus' trailer to get live Twitter response during 'Homeland'. Digital Spy (Hearst Corporation). 2012-04-26 [2013-12-27]. （原始内容存档于2013-11-01）. ^ McCabe, Maisie. Ridley Scott's Prometheus to air first synchronised ad on Zeebox. Mediaweek (Prometheus Global Media). 2012-04-27 [2013-12-27]. （原始内容存档于2012-06-16）. ^ Sweney, Mark. Channel 4 under Ofcom investigation over Prometheus exclusive. The Guardian (Guardian Media Group). 2012-05-08 [2013-12-27]. （原始内容存档于2012-06-16）. ^ Kemp, Stuart. Ofcom Launches U.K. 'Prometheus' Trailer Probe. Hollywood Reporter (Prometheus Global Media). 2012-05-08 [2013-12-27]. （原始内容存档于2012-06-14）. ^ Graser, Marc. Coors, Amazon, Verizon ride with 'Prometheus'. Variety (PMC). 2012-05-17 [2013-12-28]. （原始内容存档于2012-06-16）. ^ 154.0 154.1 Warren, Christina. ‘Prometheus’ Social Campaign Expands with Live Red Carpet and More. Mashable (Mashable Inc.). 2012-05-16 [2013-12-28]. （原始内容存档于2013-11-26）. ^ Prometheus Has Landed!. National Entertainment Collectibles Association. 2012-06-08 [2013-12-28]. （原始内容存档于2013-07-23）. ^ Prometheus: The Art of the Film (Film Tie in) (Hardcover). Amazon.com. [2013-12-28]. （原始内容存档于2012-04-02）. ^ Sancton, Julian. TED Goes to the Movies With 'Prometheus' Promotion. Bloomberg Businessweek (Bloomberg L.P.). 2012-03-22 [2013-12-27]. （原始内容存档于2013-12-04）. ^ Goldberg, Matt. Watch Prometheus’ Peter Weyland (Guy Pearce) Give a TED Talk from 2023. Collider.com. 2012-02-28 [2013-12-27]. （原始内容存档于2012-08-17）. ^ Shea, Chris. A TED Talk, Circa 2023. The Wall Street Journal – Ideas Market blog. 2012-03-01 [2013-12-27]. （原始内容存档于2013-06-12）. ^ Eisenberg, Eric. Prometheus Viral Reveals Stunning New Image. Cinema Blend. 2013-03-06 [2013-12-27]. （原始内容存档于2013-12-25）. ^ Chitwood, Adam. Prometheus Viral Campaign Continues with Android-Unboxing Video from Weyland Corp Featuring Michael Fassbender. Collider.com. 2012-03-17 [2013-12-28]. （原始内容存档于2013-11-11）. ^ Goldberg, Matt. Excellent Prometheus Viral Campaign Continues with an Ad for Michael Fassbender’s Android, "David". Collider.com. 2012-04-17 [2013-12-28]. （原始内容存档于2012-08-18）. ^ Zakarin, Jordan. 'Prometheus' Ad Touts Michael Fassbender as Weyland Industries Robot David (Video). The Hollywood Reporter (Prometheus Global Media). 2012-04-17 [2013-12-28]. （原始内容存档于2012-06-14）. ^ 164.0 164.1 Warren, Christina. ‘Prometheus’ Ad Shows Us the Robot We All Want (EXCLUSIVE). Mashable (Mashable Inc.). 2012-04-17 [2013-12-28]. （原始内容存档于2013-12-14）. ^ Plumb, Ali. Rapace Stars In New Prometheus Viral. Empire (Bauer Media Group). 2012-05-16 [2013-12-28]. （原始内容存档于2013-06-20）. ^ Lamar, Cyriaque. An abandoned French subway station was turned into the set of Prometheus. io9 (Gawker Media). 2011-07-12 [2013-12-28]. （原始内容存档于2013-06-18）. ^ Goldberg, Matt. Prometheus Viral Campaign Continues with New Video and Website. Collider.com. 2012-06-11 [2013-12-28]. （原始内容存档于2013-07-23）. ^ Vary, Adam. 'Prometheus' end credits reveal yet another viral video, and allusions to Nietzsche -- Video. Inside Movies blog. Entertainment Weekly. 2012-06-11 [2013-12-28]. （原始内容存档于2013-10-15）. ^ Chitwood, Adam. Prometheus Viral Continues? Mysterious New Clip Featuring Idris Elba Surfaces. Collider.com. 2012-09-07 [2013-12-28]. （原始内容存档于2012-11-08）. ^ Krinsky, Tamara. ‘Lost’ Co-Creator Talks ‘Prometheus’ Viral Videos, Twitter. Tubefilter. 2012-05-08 [2013-12-28]. （原始内容存档于2012-06-16）. ^ Flynn, Richard. London's Leicester Square re-opens after 18 month renovation. Screen International. 2012-05-24 [2013-12-26]. （原始内容存档于2013-06-19）. ^ 'Prometheus' To Get IMAX 3D Release. Deadline.com. PMC. 2012-03-08 [2013-12-26]. （原始内容存档于2012-06-23）. ^ Prometheus to be D-BOX encoded – Cineworld interview. 3D Focus. 2012-05-09 [2013-12-26]. （原始内容存档于2013-11-05）. ^ 174.0 174.1 Finke, Nikki. Ridley Scott Directing ‘Prometheus’ Begins Foreign Run: #1 France. Deadline.com (PMC). 2012-05-30 [2013-12-26]. （原始内容存档于2012-08-04）. ^ Stuart, Kemp. Ridley Scott’s 'Prometheus' Breaks IMAX U.K. Pre-Sales Record. The Hollywood Reporter (Prometheus Global Media). 2012-05-04 [2013-12-26]. （原始内容存档于2012-06-14）. ^ Stuart, Kemp. 'Prometheus' Continues to Build Imax U.K. Pre-Sales Record. The Hollywood Reporter (Prometheus Global Media). 2012-05-28 [2013-12-26]. （原始内容存档于2012-06-14）. ^ McClintock, Pamela. Box Office Preview: 'Madagascar 3' Likely to Beat 'Prometheus' For No. 1 in U.S.. The Hollywood Reporter (Prometheus Global Media). 2012-06-07 [2013-12-26]. （原始内容存档于2012-06-14）. ^ Todd Cunningham, Todd. Box Office Preview: 'Prometheus' vs. 'Madagascar 3' Is Too Close to Call. Chicago Tribune. 2012-06-07 [2012-06-08]. （原始内容存档于2012-06-08）. ^ Contrino, Phil. Weekend Predictions: 'Prometheus' and 'Madagascar 3: Europe's Most Wanted'. boxoffice.com. 2012-06-06 [2013-12-26]. （原始内容存档于2012-06-10）. ^ McClintock, Pamela. Box Office Preview: 'Madagascar 3' Likely to Beat 'Prometheus' For No. 1 in U.S.. The Hollywood Reporter. 2012-06-07 [2013-12-26]. （原始内容存档于2012-06-13）. ^ Kaufman, Amy. Movie Projector: 'Madagascar 3' could edge out 'Prometheus'. Los Angeles Times. 2012-06-07 [2013-12-26]. （原始内容存档于2013-10-08）. ^ Subers, Ray. Forecast: 'Prometheus,' 'Madagascar 3' Go Head-to-Head This Weekend. Box Office Mojo (Amazon.com). 2012-06-07 [2013-12-26]. （原始内容存档于2013-05-10）. ^ Shirey, Paul. C'mon Hollywood: Don't Give Up On The Prometheus Sequel!. JoBlo.com. 2013-04-16 [2013-12-26]. （原始内容存档于2013-09-23）. ^ Arnold, Ben. Prometheus writer won't be penning sequel. Yahoo!. 2012-12-21 [2013-12-26]. （原始内容存档于2013-05-23）. ^ Anders, Charlie Jane. Is the Prometheus sequel stalled out just because nobody knows how to follow that ending?. io9 (Gawker Media). 2013-03-27 [2013-12-26]. （原始内容存档于2013-10-07）. ^ Subers, Ray. Five $50 Million Debuts Propel June Business. Box Office Mojo. Amazon.com. 2012-07-06 [2013-12-26]. （原始内容存档于2013-11-10）. ^ Subers, Ray. Around-the-World Roundup: 'Resident Evil' Slays With $49.6 Million Debut. Box Office Mojo. Amazon.com. 2012-09-18 [2013-12-26]. （原始内容存档于2013-05-22）. ^ 2012 Worldwide Grosses. Box Office Mojo. Amazon.com. 2012 [2013-12-26]. （原始内容存档于2013-12-11）. ^ Finke, Nikki. ‘Snow White’ $56.1M Domestic Breaks Box Office Slump: $95.4M Global; ‘Prometheus’ On Fire In UK Ahead Of Domestic Opening; ‘Marvel’s The Avengers #3 Film Of All Time. Deadline.com (PMC). 2012-06-02 [2013-12-26]. （原始内容存档于2012-09-04）. ^ McClintock, Pamela. Box Office Report: 'Prometheus' Opening Ahead of 'Snow White' in the U.K.. The Hollywood Reporter (Prometheus Global Media). 2012-06-01 [2013-12-26]. （原始内容存档于2012-08-18）. ^ Segers, Frank. Foreign Box Office: 'Men in Black 3' Stays No. 1 Overseas With $275 Million-Plus. The Hollywood Reporter (Prometheus Global Media). 2012-06-03 [2013-12-26]. （原始内容存档于2012-06-12）. ^ Prometheus (2012) - International Box Office Results. Box Office Mojo. Amazon.com. [2013-12-26]. （原始内容存档于2013-05-15）. ^ Around-the-World Roundup: 'MIB 3' Leads Again, 'Prometheus' Opens Strong. Box Office Mojo. Amazon.com. 2012-06-05 [2013-12-26]. （原始内容存档于2013-10-30）. ^ Subers, Ray. Around-the-World: 'Madagascar 3' Skips Europe, Wins Overseas Anyway. Box Office Mojo (Amazon.com). 2012-06-10 [2013-12-26]. （原始内容存档于2013-10-29）. ^ Subers, Ray. Around-the-World Roundup: 'Expendables 2' Flexes Muscles Overseas. Box Office Mojo. Amazon.com. 2012-08-28 [2013-12-26]. （原始内容存档于2013-10-23）. ^ 196.0 196.1 Finke, Nikki. HOT WEEKEND! Both ‘Madagascar 3′ And ‘Prometheus’ On Fire For $59.6M/$49.5M. Deadline.com (PMC). 2012-06-10 [2013-12-26]. （原始内容存档于2013-07-23）. ^ Subers, Ray. Weekend Report: 'Madagascar' Breaks Out, 'Prometheus' Catches Fire. Box Office Mojo. Amazon.com. 2012-06-10 [2013-12-26]. （原始内容存档于2013-10-30）. ^ McClintock, Pamela. Box Office Report: 'Madagascar 3' No. 1 With $60.4 Mil, 'Prometheus' Strong No. 2 With $50 Mil. The Hollywood Reporter (Prometheus Global Media). 2012-06-10 [2013-12-26]. （原始内容存档于2013-07-24）. ^ 199.0 199.1 Prometheus (2012). Rotten Tomatoes. [2013-12-27]. （原始内容存档于2013-12-11）. ^ Prometheus. Metacritic. [2013-12-27]. （原始内容存档于2011-06-09）. ^ Stewart, Andrew. 'Madagascar,' 'Prometheus' triumph at B.O.. Variety (PMC). 2012-06-10 [2013-12-27]. （原始内容存档于2012-06-14）. ^ Gettell, Oliver. 'Prometheus' comes up short of 'Alien' aspirations, critics say. Los Angeles Times (Tribune Company). 2012-06-08 [2013-12-28]. （原始内容存档于2012-06-21）. ^ Holland, Luke. 'Prometheus' - Those Mysteries And Plot Holes Explained. NME (Time Inc.). 2012-06-13 [2013-12-28]. （原始内容存档于2013-05-24）. ^ Howland, David. Prometheus: The Gift and the Curse of Alien. WhatCulture! (Obsessed With Film LTD). 2012-07-01 [2013-12-27]. （原始内容存档于2013-05-24）. ^ McCarthy, Todd. Prometheus: Film Review. The Hollywood Reporter (Prometheus Global Media). 2012-05-30 [2013-12-28]. （原始内容存档于2013-10-30）. ^ Huddleston, Tom. Prometheus: Film Review. Time Out London (Time Out). 2012-05-31 [2013-12-28]. （原始内容存档于2013-06-22）. ^ Levy, Emanuel. Prometheus. Emanuellevy.com. 2012 [2013-12-28]. （原始内容存档于2012-08-30）. ^ Ebert, Roger. PROMETHEUS (R). Chicago Sun-Times (Sun-Times Media Group). 2012-06-06 [2013-12-28]. （原始内容存档于2013-10-05）. ^ Ebert, Roger. EBERT'S TOP MOVIES OF 2012. rogerebert.com. 2012-12-27 [2013-12-28]. （原始内容存档于2013-11-03）. ^ Crocker, Jonathan. Prometheus. Total Film (Future plc). 2012-05-30 [2013-12-28]. （原始内容存档于2013-09-11）. ^ Schwarzbaum, Lisa. Prometheus (2012). Entertainment Weekly (Time Inc.). 2012-06-06 [2013-12-28]. （原始内容存档于2013-05-22）. ^ O'Hehir, Andrew. "Prometheus": Ridley Scott’s dazzling, sci-fi spectacle. Salon (Salon Media Group). 2012-06-06 [2013-12-28]. （原始内容存档于2013-03-30）. ^ Scott, A.O. Something Wicked Their Way Comes, via the Galactic Void. The New York Times (The New York Times Company). 2012-06-07 [2013-12-28]. （原始内容存档于2012-08-13）. ^ Chang, Justin. Prometheus. Variety (PMC). 2012-05-30 [2013-12-28]. （原始内容存档于2013-12-17）. ^ Bradshaw, Peter. Prometheus – review. The Guardian (Guardian Media Group). 2012-05-30 [2013-12-28]. （原始内容存档于2012-06-17）. ^ Nathan, Ian. Prometheus. Empire (Bauer Media Group). 2012 [2013-12-28]. （原始内容存档于2013-11-01）. ^ Pinkerton, Nick. Prometheus: The Tree of Death. The Village Voice (Village Voice Media). 2012-06-06 [2013-12-28]. （原始内容存档于2013-11-08）. ^ Heynman, Jessie. James Cameron On Kate Winslet's 'Titanic' Comments: 'Get Over It'. news.moviefone.com. 2012-09-07 [2013-12-28]. （原始内容存档于2013-12-28）. ^ The 13th Annual Golden Trailer Awards. Golden Trailer Awards. 2012 [2013-12-26]. （原始内容存档于2013-11-03）. ^ Abramovitch, Seth. 'Ted' Wins Big at 41st THR Key Art Awards. The Hollywood Reporter (Prometheus Global Media). 2012-10-17 [2013-12-24]. （原始内容存档于2012-10-21）. ^ 221.0 221.1 Prometheus (I) (2012) Awards. IMDb. Amazon. [2013-12-28]. （原始内容存档于2013-03-05）. ^ Kilday, Gregg. Satellite Awards Nominates 10 Films for Best Motion Picture. The Hollywood Reporter (Prometheus Global Media). 2012-12-03 [2013-12-24]. （原始内容存档于2013-11-05）. ^ Ng, Philiana. Teen Choice Awards 2012: 'Breaking Dawn,' 'Snow White' Lead Second Wave of Nominees. The Hollywood Reporter (Prometheus Global Media). 2012-06-14 [2013-12-26]. （原始内容存档于2013-11-11）. ^ OSCARS: 85th Academy Award Nominations – Only 9 Best Pictures; Lincoln Leads with 12 Nods, Life of Pi 11, Les Misérables and Silver Linings Playbook 8, Argo 7, Skyfall and Amour and Zero Dark Thirty and Django Unchained 5. Deadline.com. PMC. 2013-01-10 [2013-12-25]. （原始内容存档于2013-04-29）. ^ The 85th Academy Awards (2013) Nominees and Winners. Academy of Motion Picture Arts and Sciences. AMPAS. [2013-12-28]. （原始内容存档于2013-12-24）. ^ 17th Annual ADG Awards Nominations Announced. Art Directors Guild. 2013-01-02 [2013-01-03]. （原始内容存档于2013-01-03）. ^ EE British Academy Film Awards Nominations in 2013. bafta.org (British Academy of Film and Television Arts). 2013-01-09 [2013-12-26]. （原始内容存档于2013-12-12）. ^ Hammond, Pete. ‘Lincoln’, ‘Les Miserables’, ‘Silver Linings’ Top List Of Nominees For 18th Annual Critics Choice Movie Awards. Deadline.com. PMC. 2012-12-11 [2013-12-24]. （原始内容存档于2013-10-29）. ^ Sound Editors Announce Nominations For Golden Reel Awards. Deadline.com. PMC. 2013-01-17 [2013-12-26]. （原始内容存档于2013-12-26）. ^ VES Awards: ‘The Hobbit’, ‘Avengers’, ‘Life Of Pi’, ‘ParaNorman’ Lead Nominations. Deadline.com. PMC. 2013-01-07 [2013-12-26]. （原始内容存档于2013-01-10）. ^ Truit, Brian. 'The Hobbit' leads Saturn Awards with nine nominations. USA Today. Gannett Company. 2013-02-20 [2013-12-26]. （原始内容存档于2013-02-20）. ^ Katz, Josh. Prometheus Blu-ray, Pre-Order and Get One Movie Ticket. Blu-ray.com. 2012-06-01 [2013-12-27]. （原始内容存档于2013-06-02）. ^ FX Acquires ‘Prometheus’ TV Rights. Deadline.com (PMC). 2012-06-11 [2013-12-27]. （原始内容存档于2012-10-12）. ^ Lieberman, David. Fox Hopes To Boost Movie Downloads By Offering Titles Ahead Of Discs. Deadline.com (PMC). 2012-09-07 [2013-12-27]. （原始内容存档于2012-10-14）. ^ Prometheus Blu-ray. Blu-ray.com. 2012 [2013-12-27]. （原始内容存档于2013-10-31）. ^ Chitwood, Adam. Prometheus Blu-ray Trailer Promises Questions Will Be Answered; Ridley Scott Says Social Network Convinced Him to Shoot on RED. Collider.com. 2012-09-28 [2013-12-27]. （原始内容存档于2013-10-06）. ^ Lane, Dan. Alien prequel Prometheus tops Official Video Chart. Official Charts Company. 2012-10-15 [2013-12-27]. （原始内容存档于2013-03-13）. ^ Gilchrist, Todd. 'Prometheus' Writer Damon Lindelof on Rumored Sequel 'Paradise' and Whether He's the Man to Write It. The Hollywood Reporter (Prometheus Global Media). 2012-06-05 [2013-12-26]. （原始内容存档于2013-03-25）. ^ Chitwood, Adam. Prometheus Sequel Recap: What We Know About the Possible Follow-Up So Far. Collider.com. 2012-06-11 [2013-12-26]. （原始内容存档于2013-11-11）. ^ Scott, Ridley. Sir Ridley Scott, 01 June 12. BBC Online. 2012-06-01 [2013-12-26]. （原始内容存档于2013-11-10）. Yeah, it's not the same planet at all. No. If there was a sequel to this, which there might be if the film is successful, there'll be two more of these before you even get to Alien 1. ^ McClintock, Pamela. Summer's Studio Smackdown: From 'Men in Black 3' to 'Prometheus,' Which Franchises Will Get Another Chapter. The Hollywood Reporter (Prometheus Global Media). 2012-08-01 [2013-12-26]. （原始内容存档于2013-11-13）. ^ Weintraub, Steve. Exclusive: Damon Lindelof Is Not Writing the Prometheus Sequel; Explains Why. Collider.com. 2012-12-19 [2013-12-26]. （原始内容存档于2013-10-10）. ^ Kroll, Justin. ‘Prometheus’ Sequel Moving Forward at Fox. Variety (PMC). 2013-06-17 [2013-12-26]. （原始内容存档于2013-11-15）. ^ Lee, Ann. Ridley Scott confirms Prometheus 2 is still on the way. Metro (dmg media). 2013-10-27 [2013-12-26]. （原始内容存档于2013-10-30）. ^ Armitage, Hugh. 'Prometheus 2' script is finished, says Ridley Scott. Digital Spy. Hearst Corporation. 2013-10-30 [2013-12-26]. （原始内容存档于2013-11-01）. ^ Sneider, Jeff. ‘Prometheus 2' Lands ‘Green Lantern’ Writer; May Feature Multiple Michael Fassbenders (Exclusive). The Wrap. 2014-03-24 [2014-03-24]. （原始内容存档于2014-03-24）. ^ McNary, Dave. Ridley Scott’s ‘Alien: Covenant’ Moved Up to Summer 2017. Variety. 2016-02-28. （原始内容存档于2016-04-12）.